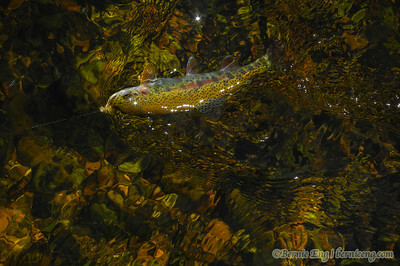 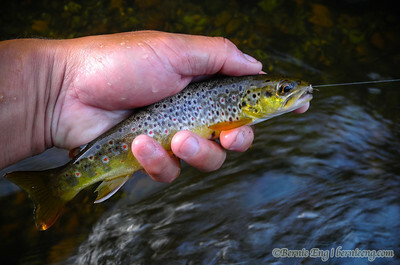 Picked up an AuSable River grand slam today getting at least one brook, brown and rainbow trout. 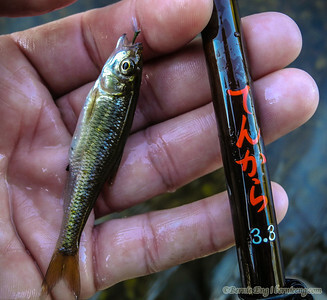 Even picked up a tiny creek chub on a #24 BWO and Tenkara. 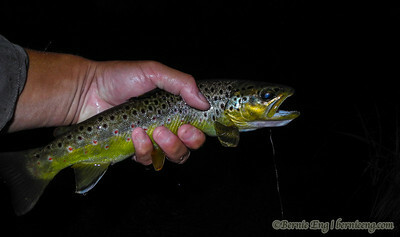 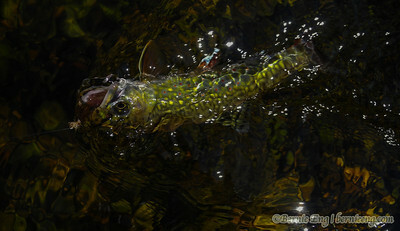 The last fish and last cast of the day was the dandy brown taken in the dark.